I have a pretty exciting announcement to make! The eagle-eyed amongst you may have noticed that the details about my upcoming game, Schism, recently vanished from the Half Wing Games website. First up, don't worry, Schism is still happening! It will however, no longer be a Half Wing Games release. 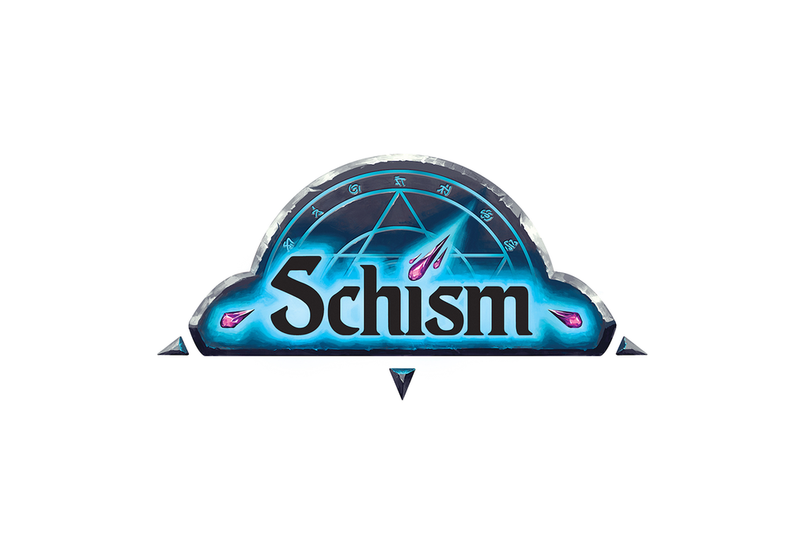 I am very excited to announce that Schism will be published by the mighty Word Forge Games in 2018. Word Forge are the guys behind the totally awesome Devil's Run: Route 666 and the 2nd edition of the classic D-Day Dice, among other great titles. Having spent some time with the team, talking about my vision for the game, their passion and drive to take it further than I felt would be possible on my own was clear to see. I feel that the experience and network that Word Forge has will mean great things for the future of Schism. Of course, it's really hard to license out a game that has taken up so much of my life, especially after I've put so much into the world-building and visuals of the game, but Word Forge and I will be working together, along with the current illustrator, Jesús Blones, to further the immersive nature of the world I'd tried to create. Rest assured we plan to expand the offering of the Schism universe and IP. More information about developments will be released towards the new year from Word Forge. In the mean time, you can ask questions etc. on Board Game Geek or contact me via the Half Wing website or Facebook page. Thank you all so much for your love and support over this game... I can't wait to see where it goes!